Caring for a senior loved one often becomes the responsibility of a family member – in many cases a daughter or son. But what happens when the family caregiver needs a break or a helping hand from time to time? Caregivers often become so focused on providing for their senior loved one that they don’t take the time to address their own needs. It is important, however, for caregivers to take time for themselves – after all, if something happens to them, Mom and Dad will probably suffer as well. The family caregiver may also need help because they have to be able to go to work, tend to tasks around the home, or take care of other business necessary to keep their household running. 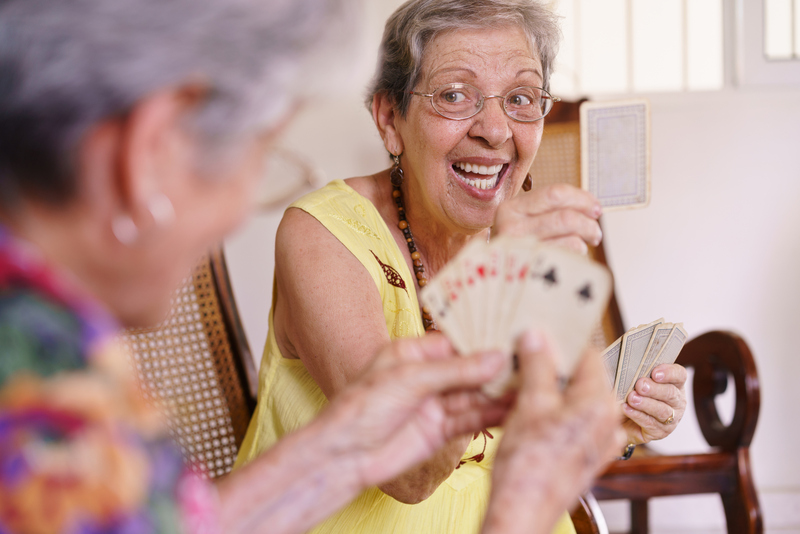 Seniors also see great benefits from getting out of the house and participating in activities. Adult day care allows seniors to meet new friends and experience new things. You’re never too old to have fun! Better Quality of Life – for Everyone! Cheryl Woodruff, an officer with the Missouri Adult Day Services Association, said people who care for a loved one at home can benefit from sharing the responsibility for looking after Mom or Dad with an adult day care program. Cheryl added that seniors who live at home can receive a full range of interdisciplinary professional care from licensed nurses, social workers, physical, occupational and speech therapists while attending adult day care. For assistance caring for your senior loved, contact Bethesda.